The DDA publishes a newsletter three times a year with interesting tips, tutorials, new ideas and valuable information for our members. 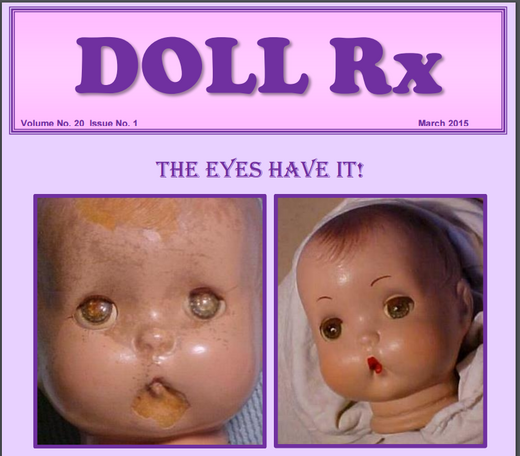 If you are not yet a member you can select the link below to view a past issue of the Doll Rx. Active members can look at the past and current issues of the newsletter. Go to the password protected newsletters section here. Remember to renew your membership for the latest password. Passwords are good for one year. Click here or contact treasurer@dolldoctorsassociation.com to renew.